Coal ash, a waste product generated from burning coal, is composed of small particles comprised of highly toxic elements. Coal ash particles contain heavy metals such as arsenic, lead, and mercury, as well as polyaromatic hydrocarbons and radioactive elements. Most coal ash is stored in landfills and ponds, often located in close proximity to low income communities. Currently, there are no federal regulations governing the storage and transport of coal ash; however the Environmental Protection Agency proposed a coal ash rule in 2010, which could designate coal ash as a hazardous waste. 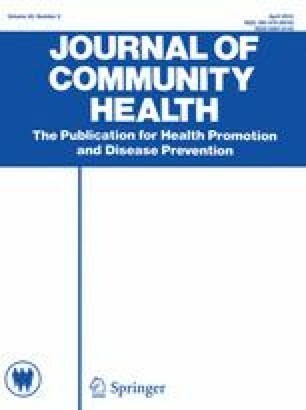 This is the first article to assess community impact from coal ash storage, by exploring parents’ perceptions of their children’s health and its relationship to chronic exposure to coal ash. This was a community-based study involving four neighborhoods adjacent to a large coal ash storage facility. Focus groups were conducted with community members and the transcripts were analyzed to identify themes regarding children’s health, children’s exposure to coal ash, and behaviors done to protect children from exposure. The majority of parents (85 %) reported that their children suffered from health conditions; specifically respiratory and emotional and behavioral disorders. Parents highlighted ways in which their children were exposed to coal ash, although many felt they were constantly exposed just by living in the area. Parents felt strongly that exposure to coal ash from the landfill is affecting the health and well-being of their children. Some parents attempted protective behaviors, but most parents felt helpless in reducing children’s exposure. American Coal Ash Association. (2012). 2012 coal combustion product (CCP) production and use survey report. Retrieved from, http://www.acaa-usa.org/Publications/ProductionUseReports.aspx. Research Triangle Institute. (2007). Human and ecological risk assessment of coal combustion wastes. Retrieved from, http://www.pineswater.org/EPA_ccw_risk.pdf. Roy, W. R., Thiery, R. G., Schuller, R. M., & Suloway, J. J. (1981). Coal fly ash: A review of the literature and proposed classification system with emphasis on environmental impacts. Retrieved from, https://archive.org/stream/coalflyashreview96royw#page/n1/mode/2up. Environmental Protection Agency. (2010). Hazardous and solid waste management system; Identification and listing of special wastes; Disposal of coal combustion residuals from electric utilities; Proposed rule. Retrieved from, http://www.regulations.gov/#!documentDetail;D=EPA-HQ-RCRA-2009-0640-0352. Environmental Protection Agency. (2010). Regulatory impact analysis for EPA’s proposed regulation of coal combustion wastes generated by the electric utility industry. Retrieved from, http://www.southernstudies.org/images/sitepieces/EPA-HQ-RCRA-2009-RIA.pdf. Evans, L., Becher, M., & Lee, B. (2011). State of failure: How states fail to protect our health and drinking water from toxic coal ash. Retrieved from, http://earthjustice.org/sites/default/files/StateofFailure_2013-04-05.pdf.